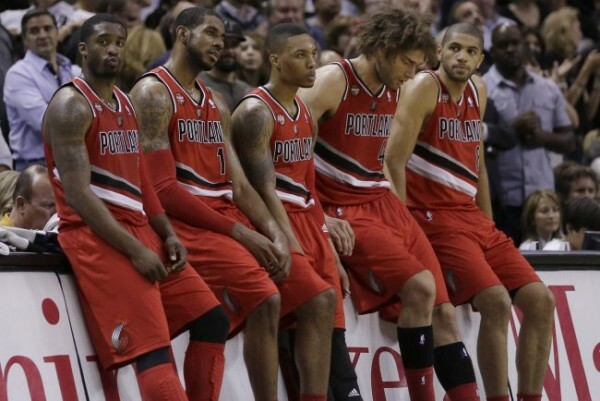 This was a good season for the Portland Trail Blazers, but not a great one. Having LaMarcus Aldridge and Damian Lillard wasn’t enough without bench or an offensive plan that didn’t involve taking contested jump shots. While young teams usually seem like they’ll stick around forever and just improve, this franchise is going to have some big decisions to make over the next couple of seasons in order to try and remain on the upward curve, which hopefully ends up with them contending for a title. Except for Mo Williams (playing option he’ll probably take) and Earl Watson (insignificant player) the Blazers will have their entire team back for next season. That means an excellent starting lineup, but also a bench that has a disappointing Thomas Robinson and C.J. McCollum on it. For Robinson, the Blazers must be hoping that finally not being moved around will turn him into a much better option coming off the bench (Carl Landry type?) while McCollum missed too much of this season due to injury to even consider this a real rookie campaign. 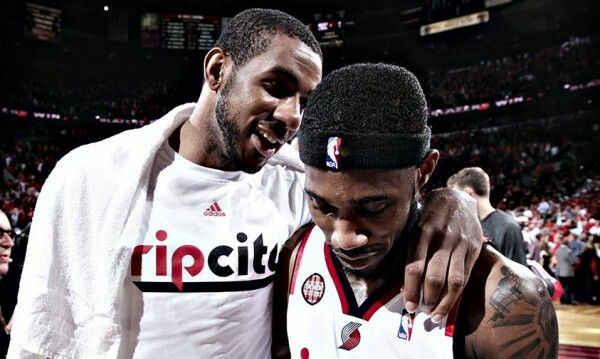 The Blazers have $64 million to their salary cap next season. The Blazers don’t actually have any picks in the upcoming draft, which makes the immediate and automatic way of thinking about how they’ll improve next season slightly misguided. You expect younger players like Lillard and Batum to keep getting better. LaMarcus Aldridge, Robin Lopez and Wesley Matthews are in the prime of their careers. All key players should be as good or even better next year. But does the team significantly improve? The Blazers can add a mid level exception guy and minimum-end free agents. They need backup at almost every spot, although Dorrell Wright did a good job in the regular season when he was called upon. A center to give Robin Lopez some rest and at least one player who can stretch the floor some more is required, but is that going to be enough? Why the pessimism? Because when the 2014-2015 season ends, the only players the Blazers have signed are Nicolas Batum, Thomas Robinson, Damian Lillard, Meyers Leonard and C.J. McCollum. It’s going to be time to think about contract extensions, but most of all about how to keep LaMarcus Aldridge on the team, if they’re going to keep him at all. When the Oklahoma City Thunder lost to the Miami Heat in the 2012 NBA Finals we knew this team was going to be here for quite a while. Yes, they traded James Harden, but the talent left behind was enough to make them contenders as long as Durant and Westbrook stay on the team. That’s not the case with the Blazers, who’ll need outside help to take their playoffs bids a bit further than this season. Considering the contract situations of their key players, it’s reasonable to be skeptical about their ability to keep this group together beyond next season.